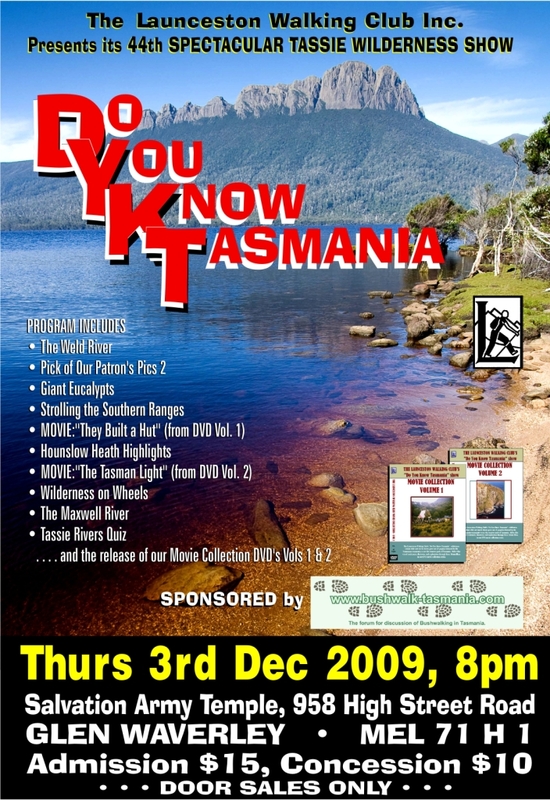 DYKT or “Do You Know Tasmania” is a slide show put on for the public and organised by members of the Launceston Walking Club showing and highlighting Tasmania and it’s natural beauty and wilderness. It has been held since the 1950’s in Launceston and more recently has taken the the road around Tasmania and onto the mainland of Australia. The 2009 show has been presented in Tasmania several times this year and will be in Melbourne on the 3rd of December. 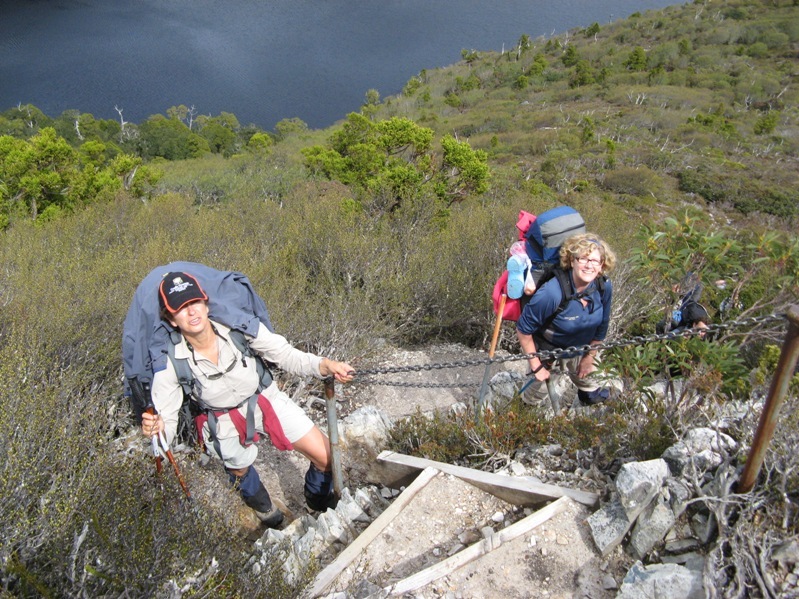 It is a great chance for us mainlanders to enjoy the show and catch up with other hikers in the Melbourne area. Yes, we thoroughly enjoyed the show. It’s the 3rd time I’ve been to one of the DYKT shows, and they’re always great. I particularly enjoyed the history of building Scott Kilvert hut, and the Denison River paddle. Pretty much a full house tonight – not many seats spare. We will be heading up the highway from Geelong to attend the show and hope some of our Australian readers can make it too! 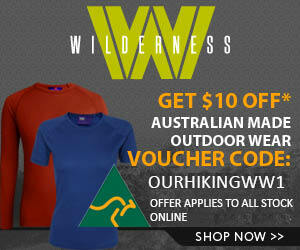 If you can’t be out bushwalking, you may as well be enjoying a great presentation about it!